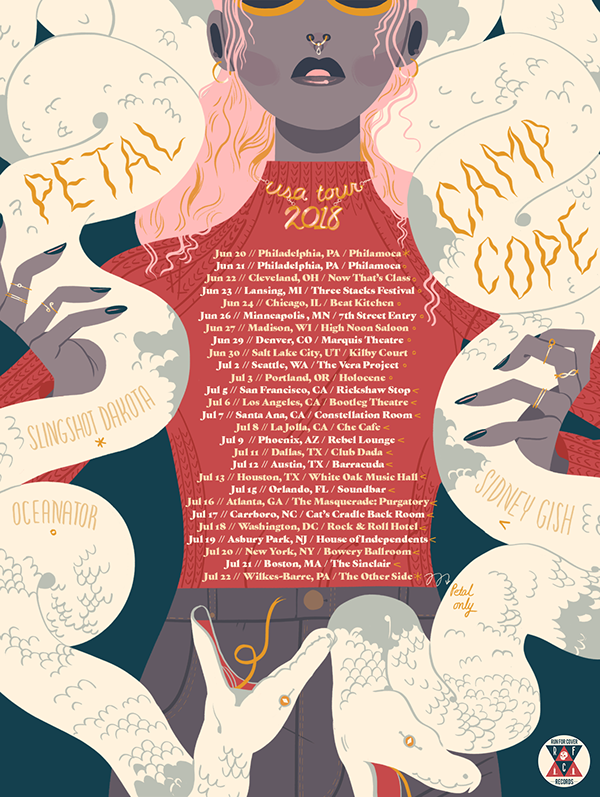 Tour poster designed, lettered, and typeset for Petal and Camp Cope's joint 2018 USA tour, created for Run For Cover Records. Feminine empowerment is a reoccuring theme in the music, so I built the poster around a (very loose!) reference to Minoan snake goddess figurines.